This can be one of the most difficult and significant steps you can take towards changing your relationship with your body. People tell me they’re afraid of losing control but the truth is that if you’re weighing yourself obsessively, the scale is in control. 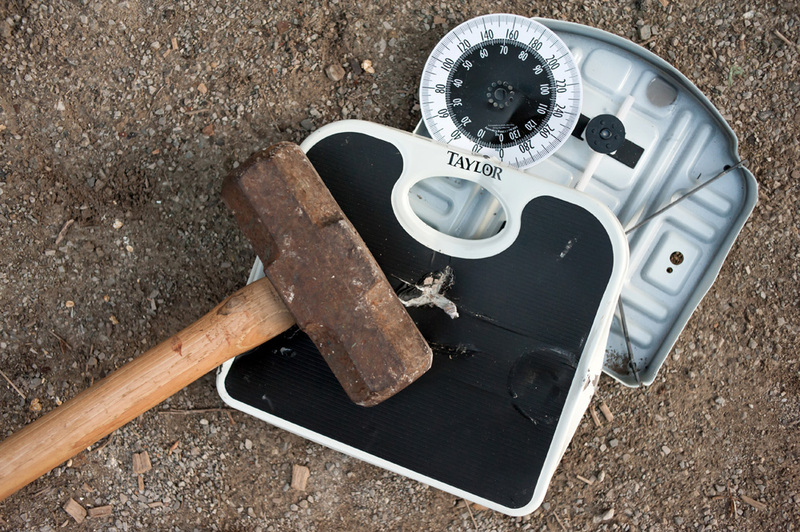 By getting rid of the scale, you allow your body to be your source of information rather than a number. It’s an inside out approach rather than an outside in approach to body acceptance. Why should a number (i.e. your weight) and an external object (i.e. the scale) determine how you think and feel about your body? I realize this is a big step and one you may not be ready to take. If that is the case, try reducing how often you weigh yourself. Consider putting the scale somewhere out of sight such as at the top of the closet so you’re making an intentional and conscious choice to weigh yourself rather than acting on auto-pilot. How often do you stand in front of a mirror and fixate on your flaws? It probably happens more often than you realize. The key to taking this step is to first notice when and where it happens and then take a figurative and sometimes literal step back. Focus on looking at the whole picture rather than parts of yourself. Then try taking a deep breath and shifting your focus to something meaningful or important in your life, such as your values (this could be your children, job, partner, a hobby, etc.) It’s a small shift that can have a profound effect on how you view your body. What does your body do for you? Many of us spend a lot of time and energy thinking about and trying to change our appearance yet don’t give much thought to all our bodies do for us on a daily basis. Focusing on function over form means noticing all of the things your body allows you to do rather than focusing on what you dislike or want to change about your body. Your body is your connection to everything meaningful in your life. By focusing on function over form, you cultivate a relationship of gratitude with your body and all that it does for you. Body acceptance is a daily practice and there will be days that it comes easier than others. Your relationship with your body likely isn’t going to change overnight but you can start shifting it as soon as you make the active choice to try something different. Imagine what your life would look like if you were unhindered by obsessive thoughts about your body and free to focus on what brings your life passion and meaning? 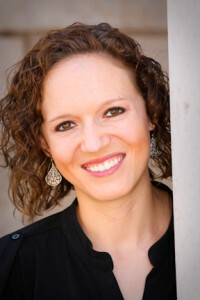 Catherine S. Tilford, MA, NCC, LPC is a Licensed Professional Counselor in Westminster, CO specializing in eating disorders and disordered eating, body image, depression, anxiety, and personal growth. Please feel free to contact Catherine with any questions or to schedule an appointment.